There are three basic ways that you can own property: in your individual name, in joint names with others, and through contract rights. Whether or not a particular asset that you own at the time of your death will need to be probated will depend entirely upon how it's titled. Joint ownership comes in three forms: with rights of survivorship, as community property, and as tenants in common. 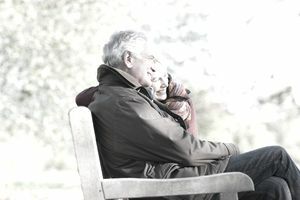 Joint tenants with rights of survivorship, frequently abbreviated on account statements as "JTWROS," means that if there are two or more owners on the asset and one owner dies, then the surviving owner or owners will continue to own the asset and the estate and heirs at law of the deceased owner will receive absolutely nothing. All that the surviving owners will need to do to remove the deceased owner's name from the asset is to show a death certificate or record a new deed which indicates that one of the joint tenants has died. A special type of joint tenancy with rights of survivorship that is recognized between married couples in some states is called tenants by the entirety, which is abbreviated as "TBE." Aside from avoiding probate, this type of ownership is important for asset protection planning in states where it's recognized. Community property is a special type of joint ownership recognized between married couples in nine states: Arizona, California, Idaho, Louisiana, Nevada, New Mexico, Texas, Washington, and Wisconsin. In Alaska, married couples can elect to have some or all of their property treated as community property by stating so in a written contract. What happens to community property when one spouse dies? This will depend on whether or not the couple made an estate plan. If there isn't an estate plan, then the intestacy laws of their state will dictate where the community will go. If there is an estate plan, then the terms of the estate plan will supersede state law and the community property will go exactly where the spouses want it to go. If the property is owned by two or more people as tenants in common, then each owner will hold a percentage of ownership interest in the property. This type of ownership is abbreviated as "TIC." The percentages don't have to be equal and are determined by how much each owner contributes to the purchase of the property. For example, if a piece of real estate costs $100,000 and owner A contributes $70,000 and owner B contributes $30,000, then owner A will hold a 70% interest as a tenant in common and owner B will hold a 30% interest as a tenant in common. When owner A later dies, their 70% interest will pass to whomever she chooses by her Last Will and Testament or Revocable Living Trust, or to her heirs at law if they don't have an estate plan. Owner B, however, won't be entitled to receive any part of A's 70% interest (unless owner B is named in A's Last Will or Revocable Living Trust or is A's heir at law). Furthermore, if A's 70% interest is titled in their individual name as a tenant in common and not in the name of their Revocable Living Trust at the time of their death, then A's 70% interest will need to be probated.